Last Thursday, colleagues and I was curious when we saw an email about the Opening of a new student lounge. 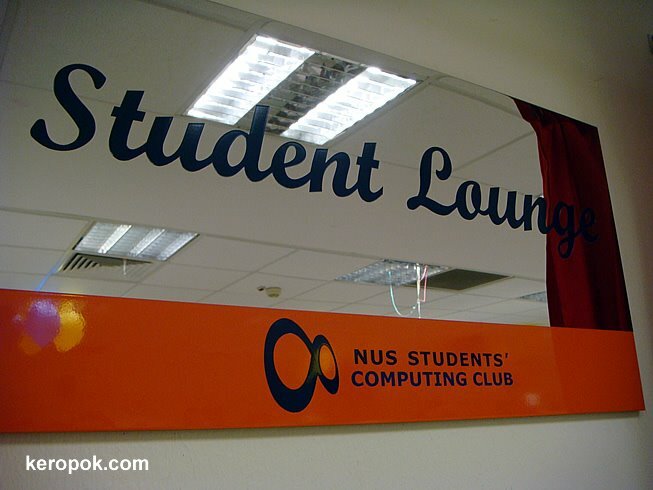 So we went over for the opening of a new 'Student Lounge' in conjunction with the 10th Anniversary of the NUS School of Computing. 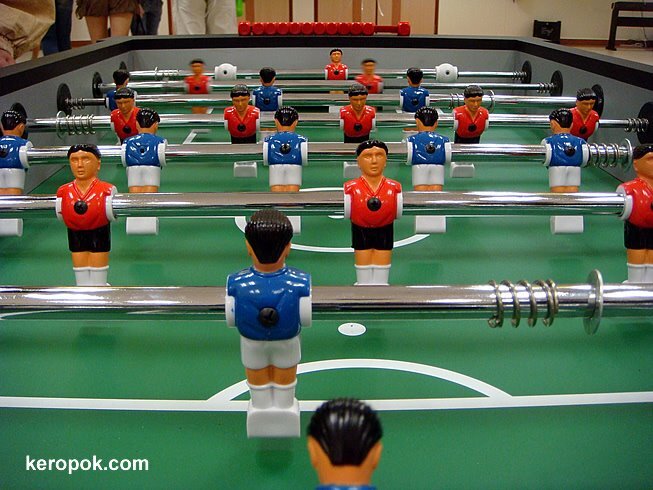 What caught our eye was the Table Soccer set! We were tempted and had a few rounds of it. A colleague said, too bad they did not get a Tornado brand. (Our colleague is a table soccer fan) But well it's good enough. For most places, you have to pay for the ball to play, but it seems this is free. Oh lucky fellas! Thanks for visiting on my Blogbirth-day! Wow, students these days have such luxury like this!! Wish I were a student now!